Guide price is per person. Based on 2 people sharing for 7 nights on Half Board. Flying from selected regional airports with summer departures. 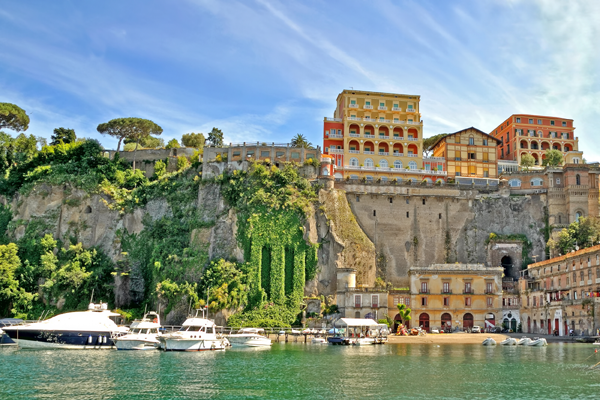 Sorrento is a beautiful small town in Campania on the Southern Italian coast known as the Neapolitan Riviera. It is easily reached from Naples and Pompeii. Sorrento holidays are very popular with repeat visitors who return here many times year after year. 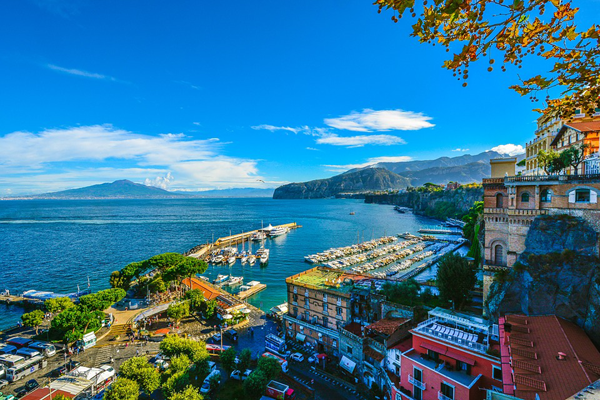 The scenic resort of Sorrento is set in a fabulous setting, sitting high above the Bay of Naples with stunning views; it is a great place to enjoy typical Italian culture. Enjoy a coffee or glass of wine in one of the myriad of pavement cafés whilst people watching. It is a very popular holiday destination with people of all age groups and interests. Tourists flock to this charming resort to experience the splendour of the cliff side hotels and the abundance of restaurants which populate the town centre and the quaint old town. 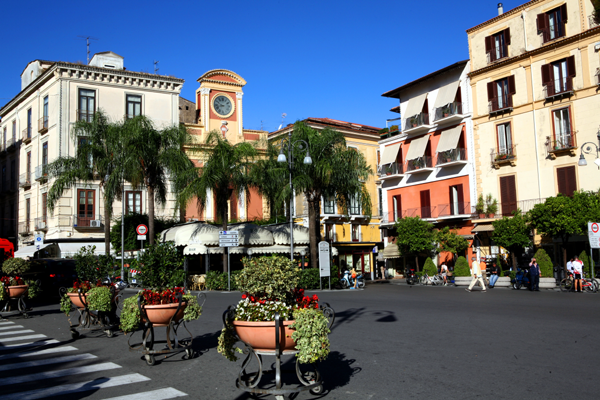 Piazza Tasso is the main focal point of Sorrento with restaurants and bars surrounding the square, making it a great place to relax with a glass of Italian wine or coffee whilst watching the world go by. 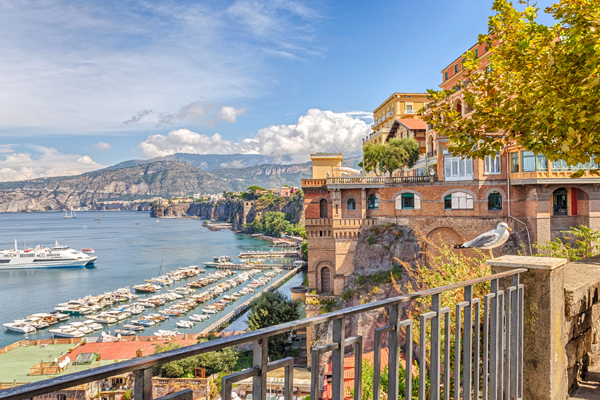 There are holidays in Sorrento which will suit all budgets from small and friendly family run hotels to luxury cliff top hotels with first class facilities and spectacular views out over the Bay of Naples. Shopping in Sorrento is an amazing experience with luxury boutiques and stylish shops selling all of the latest fashions by designer brands as well as locally crafted goods. 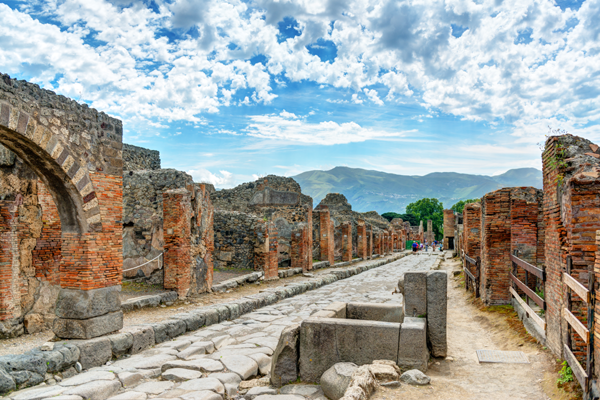 Sorrento makes an excellent base for excursions with Pompeii, Herculaneum and Mount Vesuvius being some of the most popular. Driving along the Amalfi coast in an open topped vintage car is something not to be missed. Beautiful scenery guaranteed. The islands of Capri and Ischia are just off the coast of Naples and regular ferry services to both of these beautiful islands are available and run regularly and offer a quick way of getting there. After an action packed day, head into town where there is a wide choice of good quality restaurants as well as bars that are a great spot for winding down. Some bars have a lively atmosphere at weekends with live music too, afterwards there are a small selection of nightclubs for the young and young at heart looking to dance the night away. For a great deal for on a holiday in Sorrento search our site for more offers or call one of our friendly sales advisors for more information.